Disruption across the financial services industry has led to an increased focus on creating a secure and seamless experience for customers. The Experian 2018 Global Fraud and Identity Report identifies online shopping and personal banking as the top two activities performed by consumers on mobile devices in their online interactions with businesses. That’s why traditional methods for customer authentication such as passwords, PINs and tokens are obsolete; they are easy to forge and do not protect information from being stolen or compromised. Meanwhile, biometric-based security systems make forging difficult and are more accurate, cost-effective and scalable than traditional methods of authentication. New regulations made by the European Banking Authority recommended strong customer authentication (SCA) that uses strong multi-factor authentication (MFA) for certain payments, which will come into effect in September 2019. Daon (Ireland) and its IdentityX platform enables an omni-channel approach to biometric authentication. Users can opt for a variety of combinations including traditional security measures such as passwords along with biometric parameters such as voice or facial recognition or fingerprint ID. Smartphone companies introduced fingerprint authentication to secure devices and the financial services industry has used this to its advantage, enabling consumers to log into their banking app or confirm payments through Apple Pay or Google Pay using an individual fingerprint instead of a PIN code. TouchTech Payments’ (Ireland) first product was a MasterCard and Visa certified fingerprint-based payment system for 3D Secure authentication. Voice recognition allows users to create voiceprints by repeating a short phrase. Nuance Communication (United States), a voice biometrics technology provider, cross-checks against more than 100 unique identifiers that include behavioural and physical aspects. PayPal plans to let Siri users conduct peer-to-peer (P2P) transactions with a voice command. The increase of voice-based virtual assistants can provide impetus to this trend. Facial recognition uses the in-built camera on a device to capture the image of a customer’s face for verification purposes. ID-Pal (Ireland) uses facial recognition to enable an end-to-end customer onboarding solution for Know Your Customer (KYC) and anti-money laundering (AML) requirements. Behavioural biometrics captures user characteristics such as hand-eye coordination, keystrokes, scrolling, and other device-based inputs such as geo-location to create a unique user profile. Gemalto (Netherlands) utilizes data that includes user and device identity, behavioral biometrics and user banking profile to power Gemalto Assurance Hub, an authentication solution. Other innovative authentication methods include iris recognition and vein and heartbeat biometrics. Industry interest is evident with growing adoption and investment. Each of these solutions relies on the uniqueness of the associated features for individuals. According to Frost & Sullivan research titled Biometrics in Financial Services, Forecast to 2022, security protocols impact customer trust. A focus on retaining goodwill and brand image are significant drivers to the adoption of biometrics solutions. Banks are introducing a variety of methods for consumer authentication to avoid hefty penalties in case a breach occurs. Additionally, with customer engagement becoming a cornerstone of good business practice, 75% of businesses surveyed in the Experian’s global fraud and identity report said they were open to adoption of advanced authentication and security measures if such solutions would not impact the digital experience of customers. The move away from cash-based payments, coupled with biometrics such as thumbprints, and use of advanced technologies such as machine learning (ML) and artificial intelligence (AI), can yield a more secure and easy-to-use payment service. Research by the Oxford University and Mastercard suggests that 92% of banking professionals and 93% of consumers favour adoption of biometric solutions. Most biometric solutions are designed to meet regulatory and compliance requirements. This makes it easier for companies to adopt, while application programming interfaces (APIs) make implementation relatively straightforward. Although biometrics-based authentication solutions are finding favour across financial services industry stakeholders, experts caution against complete reliance, citing a hybrid approach that uses MFA as more secure. Instances of fraud with just one level of authentication prove that financial services solutions continue to be targeted by scammers, meaning that security measures must evolve. For now, the use of biometrics will enhance authentication and customer experience, while solutions will improve as they are fed with additional data on individuals and their transactions. 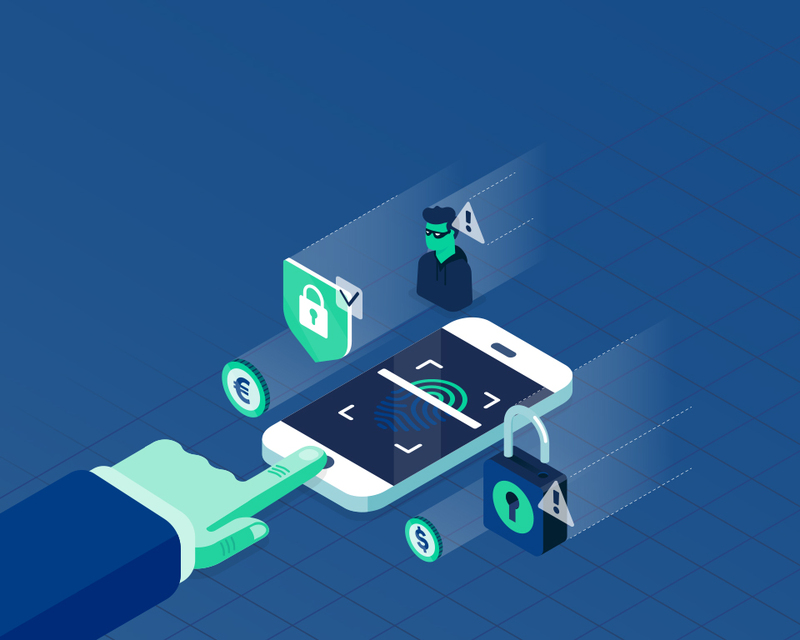 Combined with other game-changing trends – such as smartphones enabled with fingerprint authentication and facial recognition – the industry can move towards more secure and frictionless payments.